The Directorate for Investigating Organized Crime and Terrorism (DIICOT) has announced the activity will be halted every day, during 8.00-12.00h, as of Tuesday until March 8. Only the emergencies will be solved. The decision comes in protest against the Emergency Ordinance amending three laws of justice. 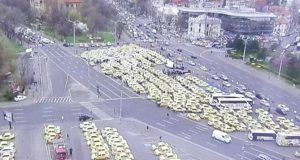 The decision was made on Monday, by the General Assembly of the DIICOT prosecutors by a majority of 221 votes out of the 231 prosecutors present, hotnews.ro reports. They protest against the way the executive power has chosen to carry out legal amendments on the laws of justice, amendments which will affect the CSM and the Public Ministry’s activity, with consequences on the acts of justice. GEO no. 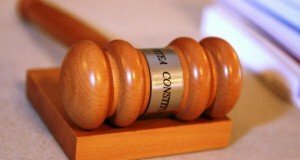 7 has ‘countless unconstitutionality issues’. The DIICOT prosecutors argue the ordinance was adopting by ignoring the competences of CSM, which was unable to issue on opinion. “The prosecutors’ section has been directly prevented to exercise the constitutional mandate. By ignoring this legal demand, the legal act becomes empty of content and the role of CSM is ignored, as guarantor of justice independence, as provided by article no. 133, paragraph (1) of the Constitution,” the prosecutors say. The DIICOT prosecutors also challenge other provisions, which redefine the conditions referring to the magistrate’s career and seniority in order to have access to various positions. The prosecutors at the Prosecutor General’s Office upon the high Court have announced they will wear white armlets in protest against the way the Government has amended the laws of justice. The decision will be enforced until the situation is remedied, the Prosecutor General’s Office announced in a release posted on the institution’s Facebook page. “On February 25, 2019 the General Assembly of prosecutors with the Prosecutor’s Office upon the High Court of Cassation and Justice (…) has decided by majority of votes to be solidary with the magistrates’ actions following the adoption of GEO no.7/2019. 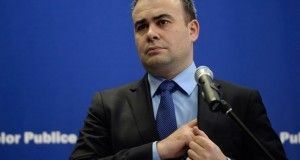 So, the prosecutors will wear white armlets in protest against the way the Romanian Government , as delegate legislator, has understood to amend the laws of justice,” the source informs.